The renovation project of Bach Nha Canal in My Tho City was still under construction in June 2016. A multimillion-dollar project funded by the World Bank to upgrade My Tho City in Vietnam’s Mekong Delta region is under inspection over allegations of wrongdoing in calling for contractors. The inspection is being carried out by the World Bank (WB) and its Integrity Vice Presidency (INT) unit. The urban upgrade project in My Tho City, Tien Giang Province, set to finish in 2017, is estimated to cost around VND1.2 trillion (US$53.57 million), loaned by the World Bank’s International Development Association (IDA). The project is part of the Mekong Delta Region Urban Upgrading Project (MDR-UUP), funded by the WB, which looks to improve the living conditions of the urban poor and urban management capacity in selected cities in the Mekong Delta region, as well as strengthening knowledge and urban management capacity at national level. 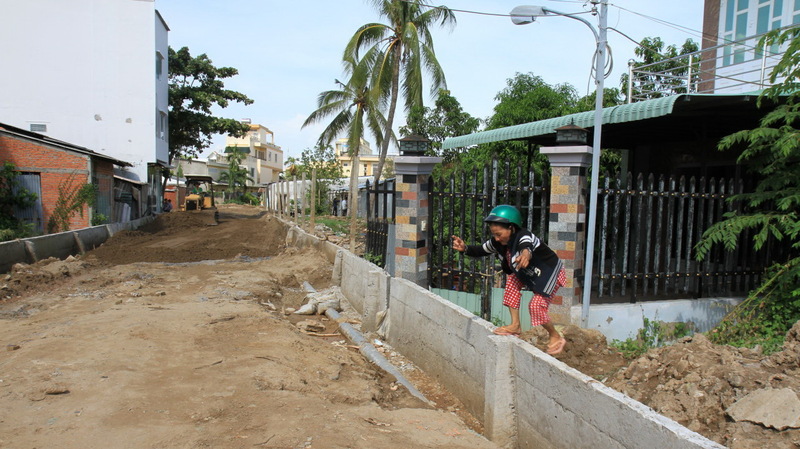 MDR-UUP covers the Vietnamese cities of Can Tho, My Tho, Cao Lanh, Ca Mau, Rach Gia, and Tra Vinh, with over 200,000 residents benefiting from its upgrades. The project in My Tho is overseen by the city’s administration, which hitherto has disbursed only over 30 percent of the WB loan. The three contractors then in turn sold their bid to a Tien Giang-based company for construction. However, several complaints and denouncement were filed afterwards by the construction company, which accused the main contractor of payment default. Signs of wrongdoing in the bidding process were also noticed by the WB, which has sent its findings to the People’s Committee of Tien Giang Province and transferred related case files to INT for further investigation.